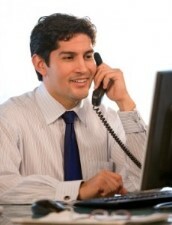 Phone interview is a cost effective way of hiring new employees. While most companies interview people on the phone only during the first, screening stage of their hiring process, some companies conduct two or even three phone interviews with the job applicants, before inviting a handful of shortlisted candidates for the final in-person interview that takes place in the company. 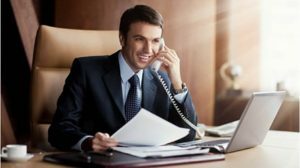 If you are one of the people who still shake at the sound of the telephone, here are some helpful tips that should help you to relax, feel more confident, and deliver your best in the phone interview. Oppositely, if you feel bad, if you carry anger or envy in your heart, if you battle any negative feelings, you can be sure the person you talk to will feel it. * May also interest you: Body language in an interview. The same applies to your attitude to the interviewers. If you consider them your enemies, smart people who strive to find faults with you and your answers to their questions. If you are convinced that all they try to achieve is find a reason to screen you out, you won’t do well in the phone interview (or any other meeting with the employer). Consider the HR managers your allies, people who just do their job and who hope to find a perfect job candidate in you. Try to find some love in your heart. It will reflect strongly in your tone of voice, selection of words, and basically in everything you tell an do on the call. You can be sure it makes a big difference. You shouldn’t chew something while talking to the interviewers. Neither should you watch TV, greet someone who happens to be walking on the other side of the street, or do anything else that would indicate that the phone call is not the most important thing in your life. Not the most important thing in general, of course, but in a given moment. Try to focus with all your energy and thoughts on the phone call with the employer. Nothing else should matter in the moment. Empty your mind of all other thoughts, and focus on every word they say. Listen carefully, talk to the point, and do not let anything or anyone distract you. The person on the other end can easily recognize how much you care, they can tell that the interview matters for you, and they will appreciate your attitude when they will decide about the outcome of the interviews. * May also interest you: Screening interview questions. Stand up, walk around the room, or go outside. If you live near a park, and know that the employer will call you at a certain hour, go to the green area and interview for a job while walking there. This may help you to relax, but it is also a good technique to make your voice clear and loud. Try to avoid mumbling and stopping in mid-sentences to say “Err” or “Umm”. It is okay to do it a few times, becasue everyone does it, but if a long stop follows each question they ask, you won’t pass the phone interview. Honesty is the word to remember. You can prepare your answers to most common interview questions upfront, but they should still get the feeling that you speak from your heart. Try to prepare upfront, and set your mind the right way. This will help you to come up with a great answer to every question. You have to give your interviewer 100% of your attention. You cannot answer the questions properly with the sound of the television booming in the background, or with the kids playing on the carpet in front of you. Obviously, we have our lives and duties, but everyone can find their quiet fifteen minutes. And you should find them while you interview for a job on the phone. Walk to a quite place, as soon as you realize the employer is calling. You can even ask the HR manager to wait for a minute while you walk outside, as this shows them that you really care, that you do not want to blow this chance. You never know when the potential employer is calling you. When you are searching a job, you should answer every phone call with enthusiasm in your voice, mentioning your first name. “Hello, this is Jane. How can I help you?” is a simple yet effective opening. 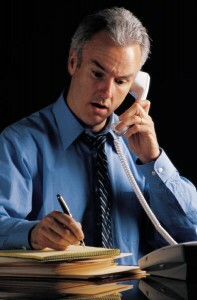 Every interviewer may experience a bad mood sometimes, especially if they lead a long session of phone interviews. But your enthusiasm and good mood can help you to win them over. Remember that some phone interviews can take half an hour, or even longer (think Talent Plus interview). If you talk a lot, you will eventually need to drink something. Do not hesitate to ask the interviewers for a short break, to grab a bottle of water, or a cup of hot tea. You should not interrupt your interviewer very often. Listen to their words, wait until they ask you to say something. You can do a little confirmation if they speak for longer than thirty seconds, saying “uhm”, or something similar. This helps them to feel that you are still with them, that you are listening, that you have not lost the line. Remember the following sentence, if you want to succeed: (not only in the phone interview) The more you let the interviewers talk, the better your chances of getting a job will be. We are people. We prefer talking to listening, and we love when someone listens to us. HR managers and recruiters have the same desires as anyone else living on this planet. You should have your resume and cover later always at your table, or in any other place which you can easily access. You never know when you will receive the call from the employer. Your resume, and your job application (as well as the job description) will help you to answer the questions that target your experience, your working duties, and things that relate to the company, and to the job offer you try to get with them. What is more, they should not get the feeling that you applied for dozens of other jobs, and answer one phone call after another. Oppositely, you should sound as if you were expecting their call, as if meant a lot to you. Phone interviews belongs to nearly every single interview process. Show the employer that you care, that the phone call with them matters to you. Give them your attention, show positive emotions, listen to each word they say, and talk to the point. Make them feel good while talking to you on the phone, and have your job application ready, so you can refer to it in an appropriate moment. The first impression is made just once. If you manage to make a good impression on the phone, it will become much easier for you to ace the other stages of hiring process, and eventually get the job with the company. 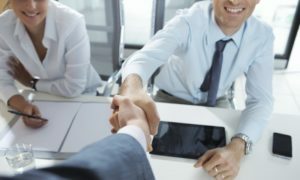 Behavioral interview questions – Behavioral interviewing has become popular lately, and you can get some behavioral question even in the phone interview. Learn what the interviewers want to hear from you, and prepare a great answer for each difficult question. Interview questions by job title – Browse our list of job categories, and prepare for the interview questions that are specific for the position you try to get. Body language in an interview – What do your gestures and movements say about you? Can we control our non-verbal communication? Improve your body language, and you will improve your chances of succeeding in any interview.